Fully tempered 1/2" glass with official white target and border permanently fired into glass. Frame constructed of extruded brushed aluminum. Used only for backstop structures with Goal Brace direct goal attachments. 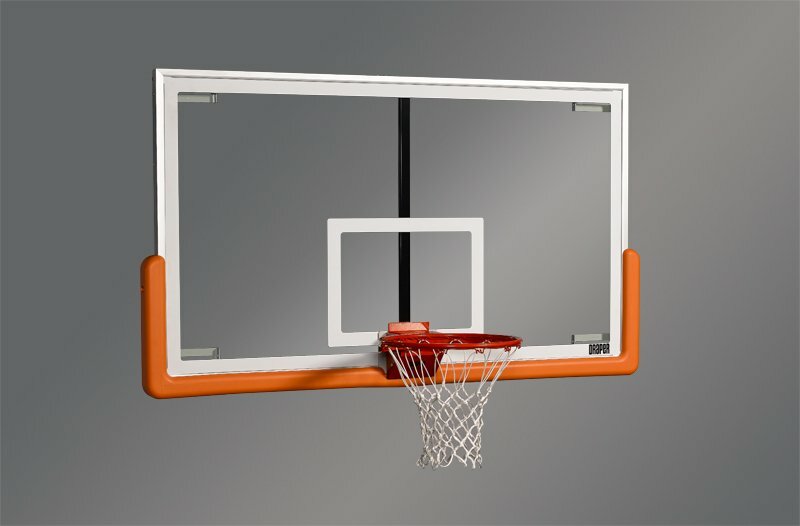 Has additional vertical strut to relieve stress on glass during slam dunks. Goal is bolted to a plate welded to bottom of strut for maximum strength. Used only for backstop structures with four-corner backboard mounting. Indoor use only.